The ratio of coffee to milk is 1 to 1. There is no foam. Brew strong, Silver Canyon medium or dark coffee. Scald milk by pouring a minimum of a half cup of milk into a heavy-bottomed sauce pan and heat on low until bubbles start to form on the edges of the milk. Do not boil. 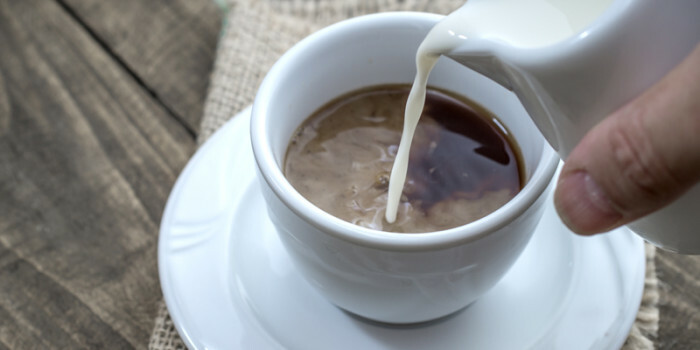 Pour the milk to fill half the coffee cup and top with an equal part of the fresh brewed coffee. Stir and enjoy.